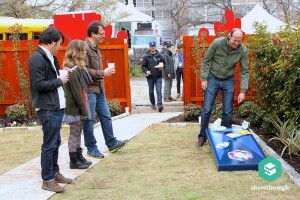 When we headed to SXSW Interactive this year, we were pumped for our most exciting trip to Austin yet. We were debuting Visage, our new visualization platform, and were selected to participate in the SXSW ReleaseIt contest, pitching the platform to a panel of judges. Visage won first place, which was a great start to the week, and we were really eager to get the platform in front of people at the conference. Visage Cofounder and Column Five VP of Business Development Jake Burkett pitching Visage to the judges at ReleaseIt at SXSW. 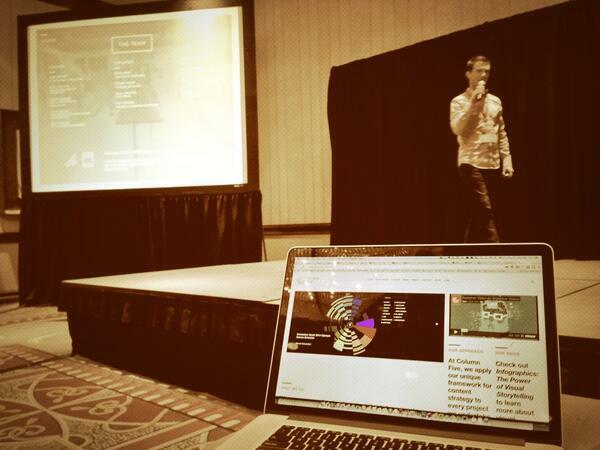 But how do you force people to interact with your product at a conference where everyone is competing for attention? And how do you do that when you’re promoting a slick work tool—but no one is at work? Here’s what we did. 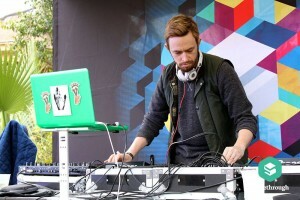 SXSW is all about the parties, so we knew a tradeshow booth was not the best way to promote both Column Five and Visage. Instead, we wanted to engage with people in a genuine and authentic way in a more relaxed environment. 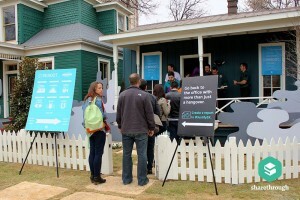 We partnered with native advertising platform Sharethrough to co-host the Reboot Lounge at one of the oldest houses in Austin, just feet from the convention center. We designed two interactive rooms within the house: one for Column Five, one for Visage. 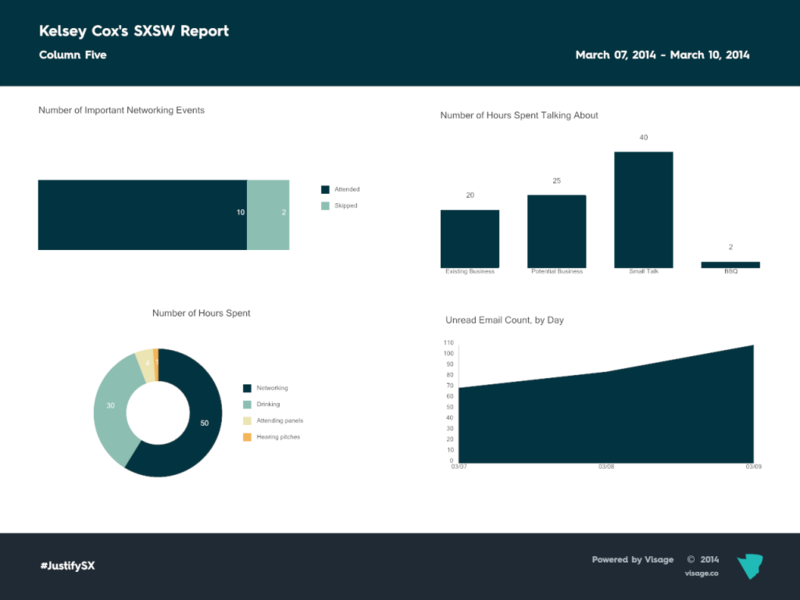 For the Column Five room, we wanted to show off our visualization skills and entertain party-goers with some relevant data by creating a large-scale timeline that detailed the history of SXSW. Visitors could explore the visualizations around the room while they ate and drank. This way, we were able to foster one-one-one interaction with our content—at the viewer’s pace. 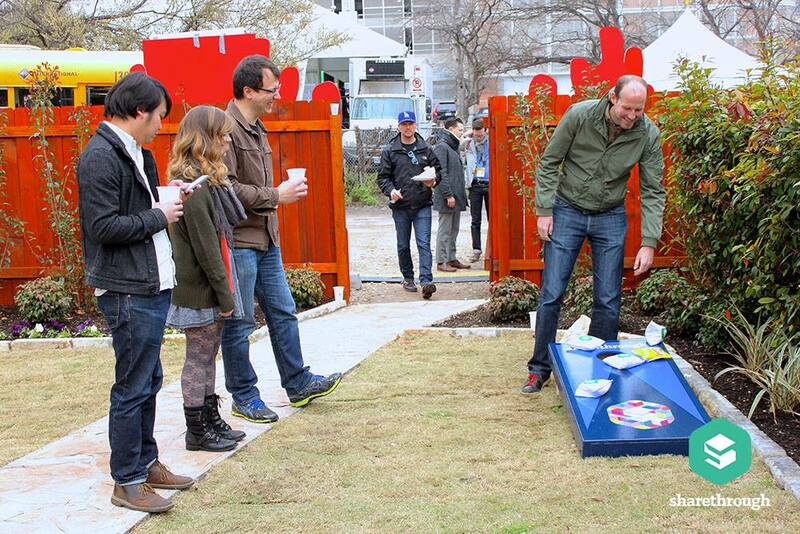 Party-goers explore Column Five’s large-scale SXSW timeline installation at the Sharethrough Reboot Lounge. 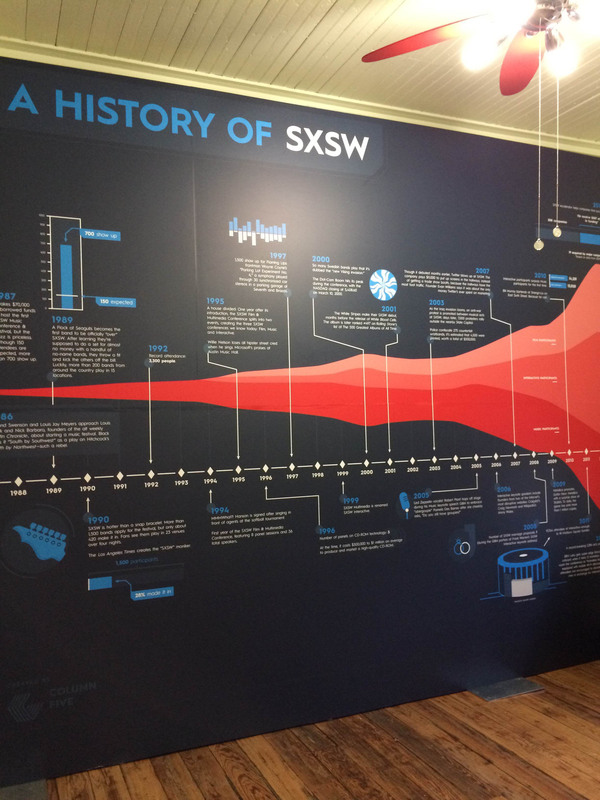 The room also featured a series of funny SXSW-themed data visualizations. 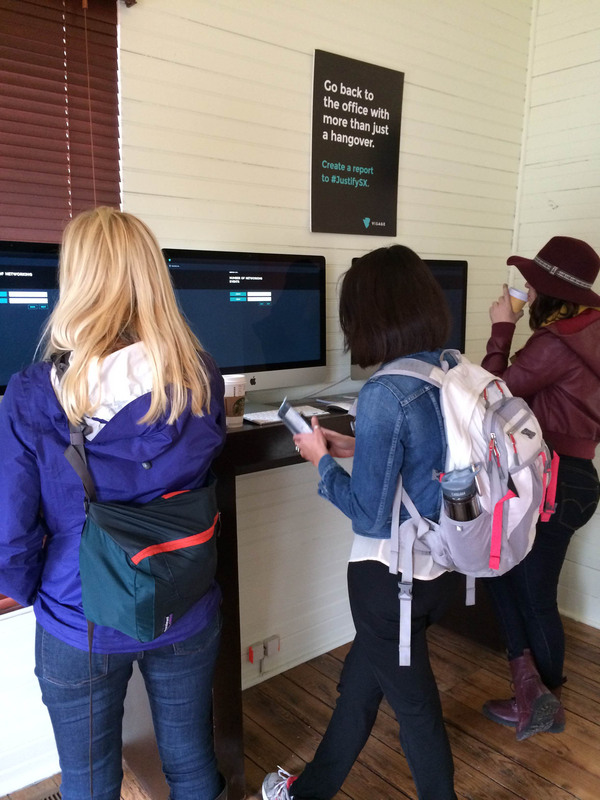 We included the #SXstats hashtag so that viewers could snap a pic and share on social. We also had postcards printed for viewers to take as a souvenir. 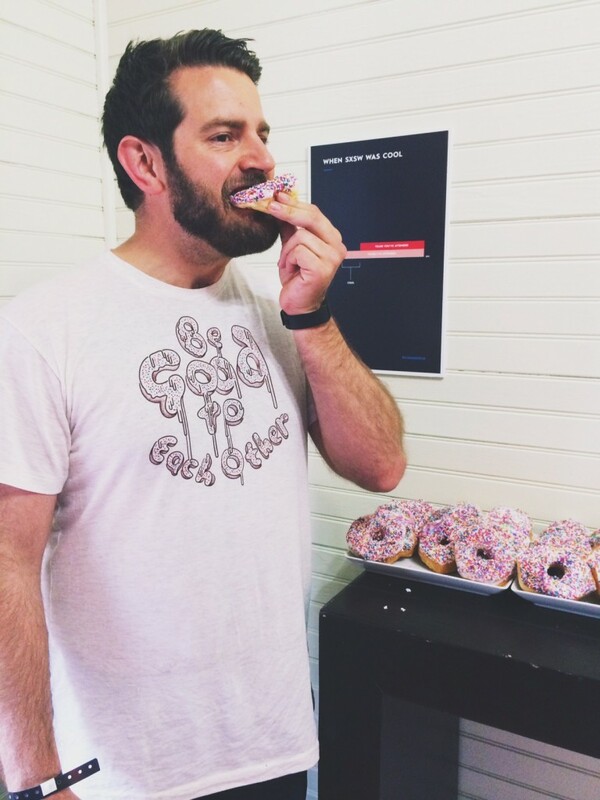 Column Five Cofounder Jason Lankow shows off the donuts and t-shirts we also gave away in the Column Five room. (The shirt featured one of our Five Columns: Be Good to Each Other). For the Visage room, it was a different approach. Postcards and t-shirts wouldn’t quite get people excited about our platform. We wanted people to actually play with the tool we were so excited to share with them, so we devised a way to get people interacting with Visage in an entertaining and useful way. 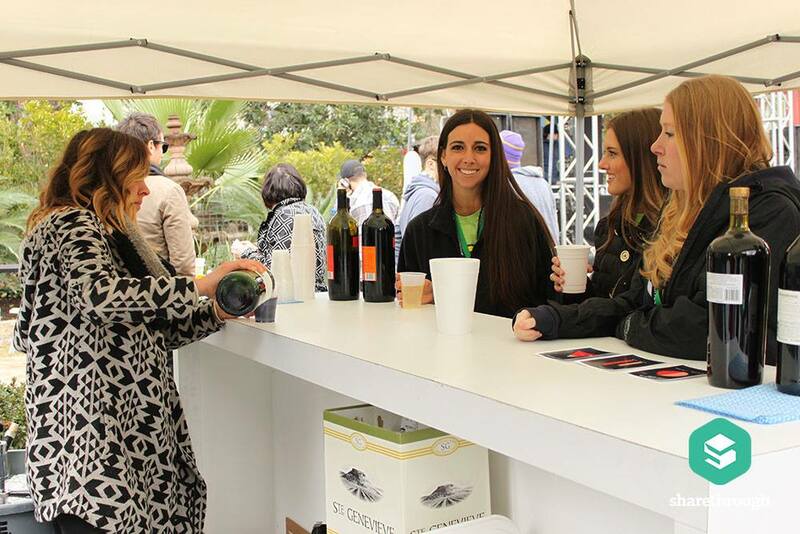 Because SXSW is basically a week of drinking, eating and “networking,” it can be tough for conference-goers to show the value of what company money is really going toward. 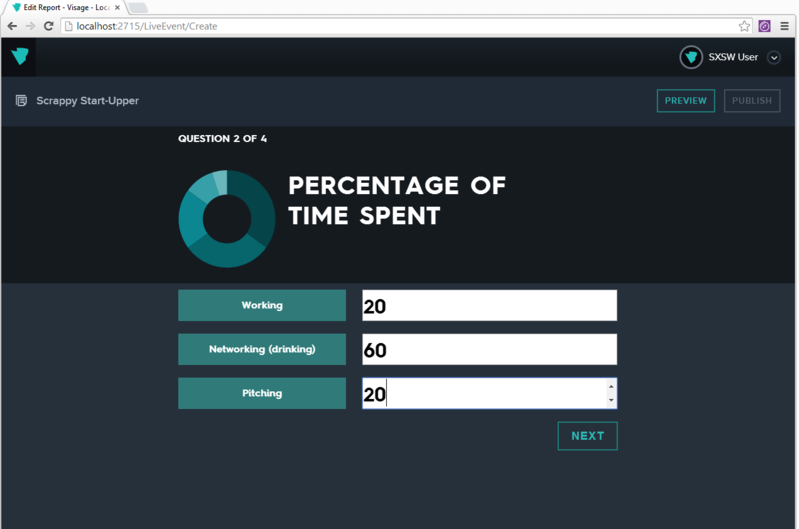 So we created #JustifySX, an interactive experience to let users produce a post-event report that visualized all the important (aka, legit) business they actually accomplished. 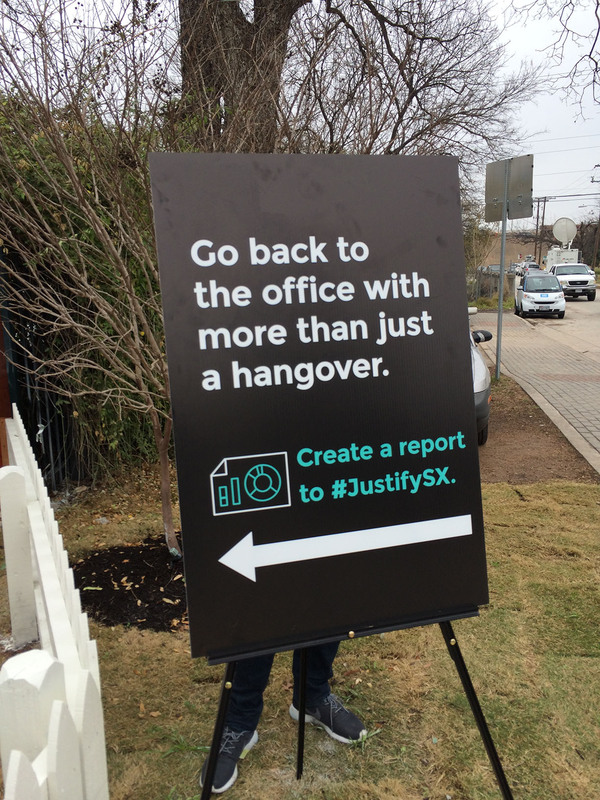 Signage around the party encouraged party-goers to make their own #JustifySX report. 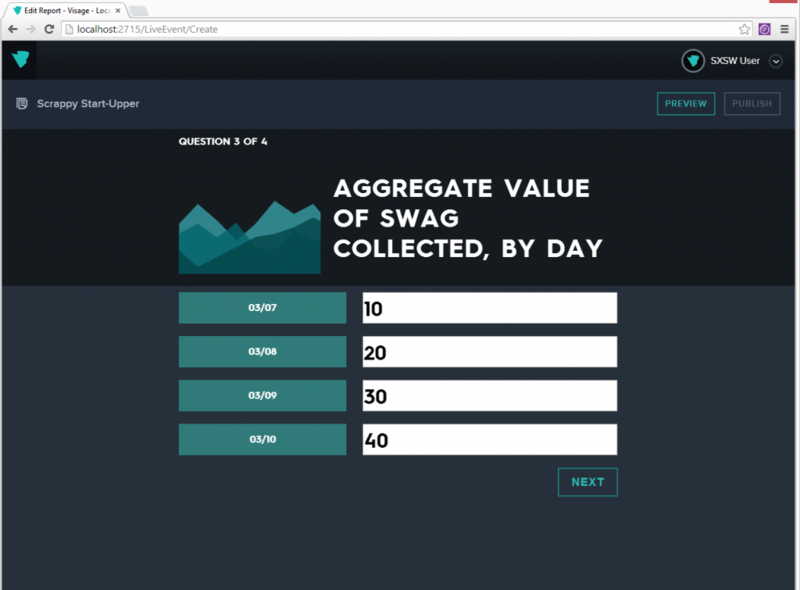 In the Visage room, #JustifySX prompted users to input specific data to generate their custom report. 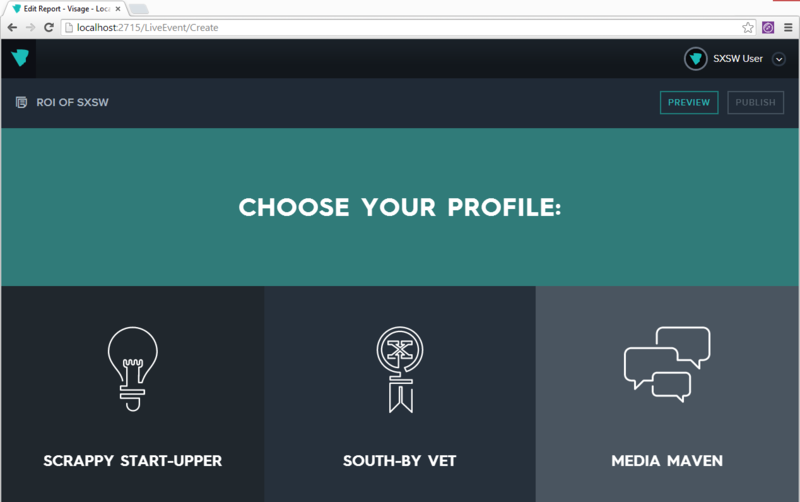 To begin, users were asked choose their profile: Media Maven, Scrappy Start-Upper or South-by Vet. The data requested for each report was specifically tailored to the profile selected. 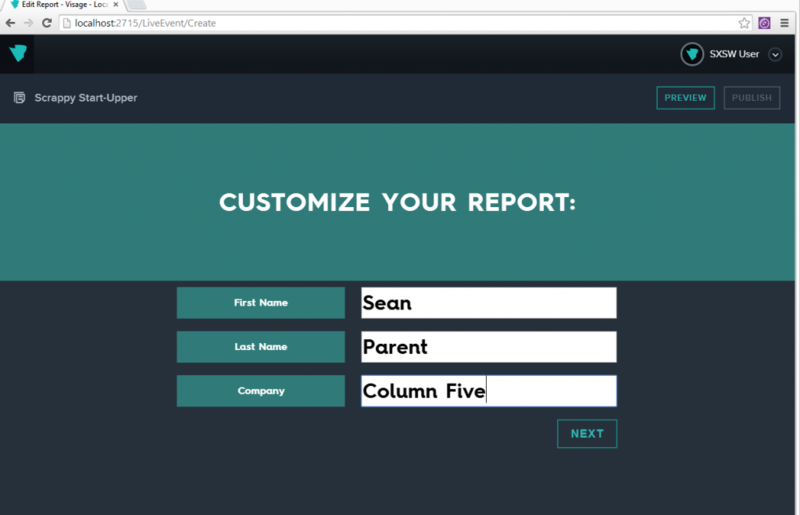 Each report was custom-generated for the user. Data included things like number of meetups, number of business cards handed out, etc. When all data was complete, the interactive generated the report, featuring four beautiful Visage data visualizations. 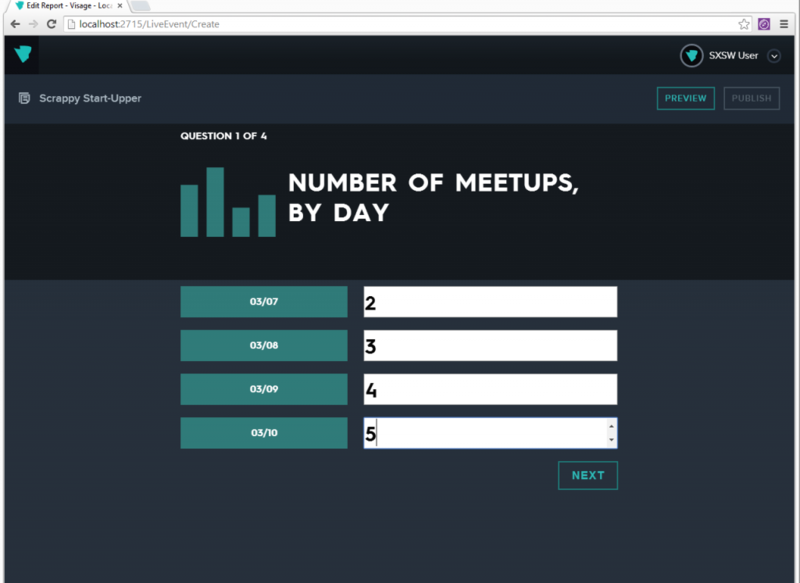 Users could email the reports to themselves and share on social for extra buzz. A #JustifySX report created by Kelsey Cox, Column Five’s Director of Communications. This approach was successful for everyone: our partners, our guests and ourselves. We were able to create a unique and memorable experience for our brand, and we learned three things that we think helped contribute to our success. 1) Use Your Audience as Inspiration. In order to successfully engage with your audience, you need to know them well. What are they in to? What compels them? 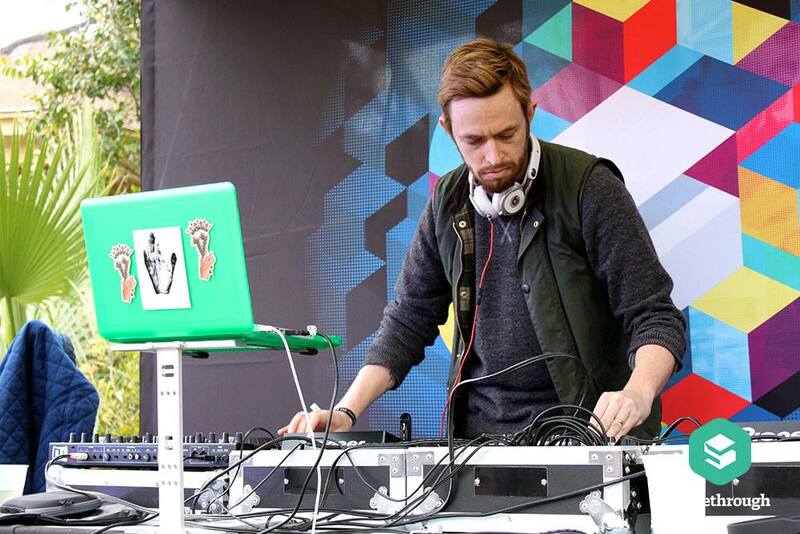 We knew the vibe and culture of the SXSW audience. 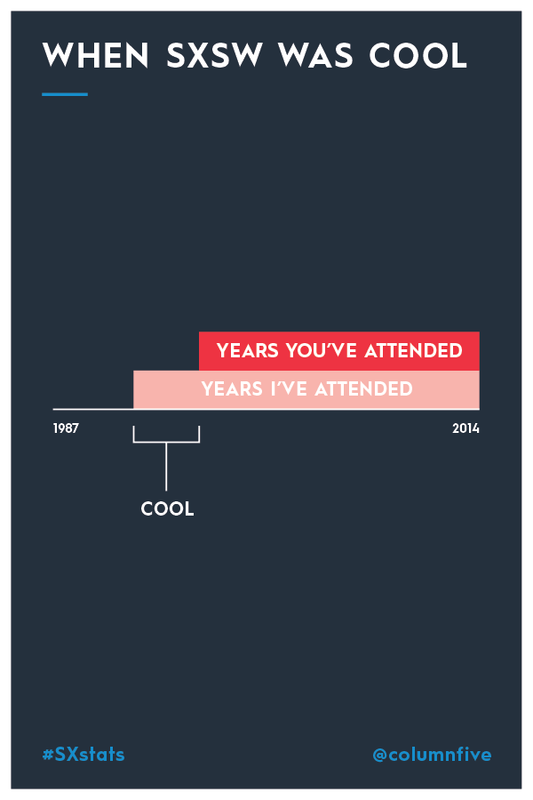 Using tongue-in-cheek humor in our data visualizations and creating the #JustifySX experience showed them that we understood who they were and what they were there for. 2) Show, Don’t Tell. Both rooms aimed to really show who we are and what we do, rather than talking a lot about ourselves. 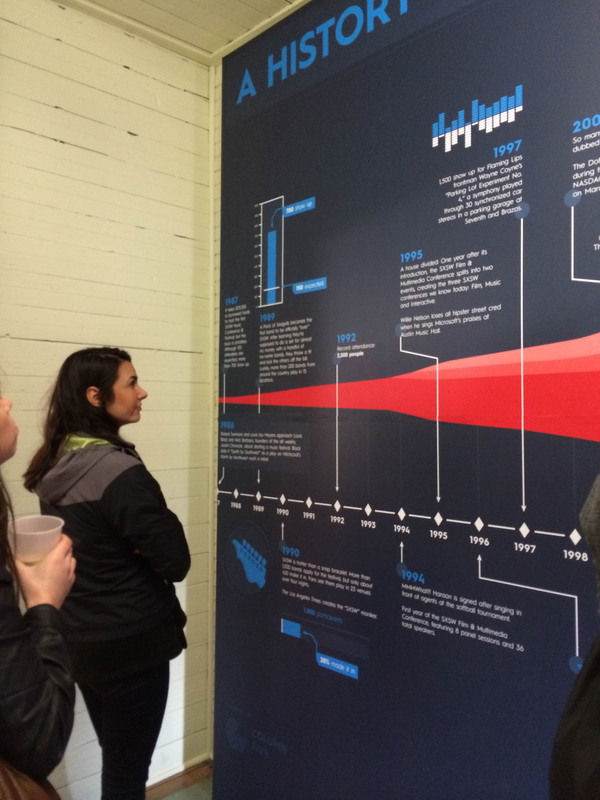 The Column Five room showcased data visualizations that were interesting and informative, allowing people to explore. 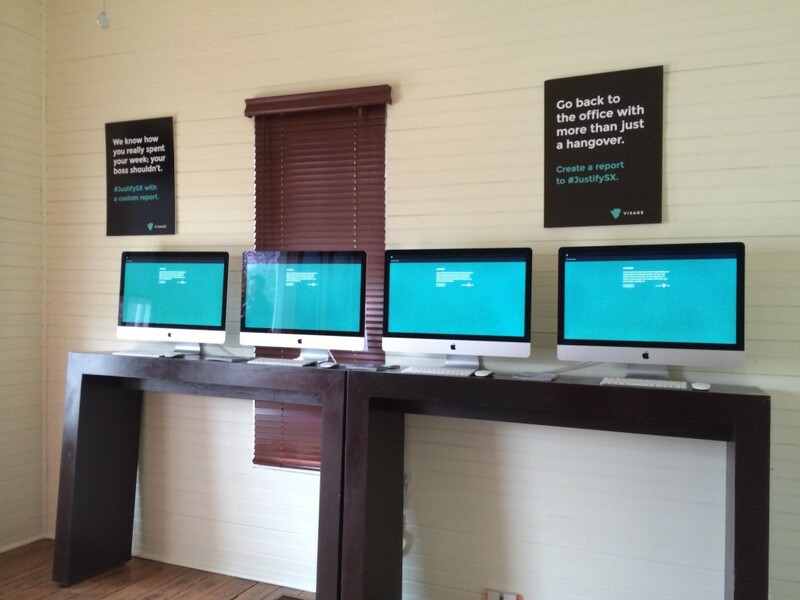 The Visage room provided an experience in which party-goers could interact with the platform, which meant we didn’t have to tell people about all the features or try to rope them into product demos. 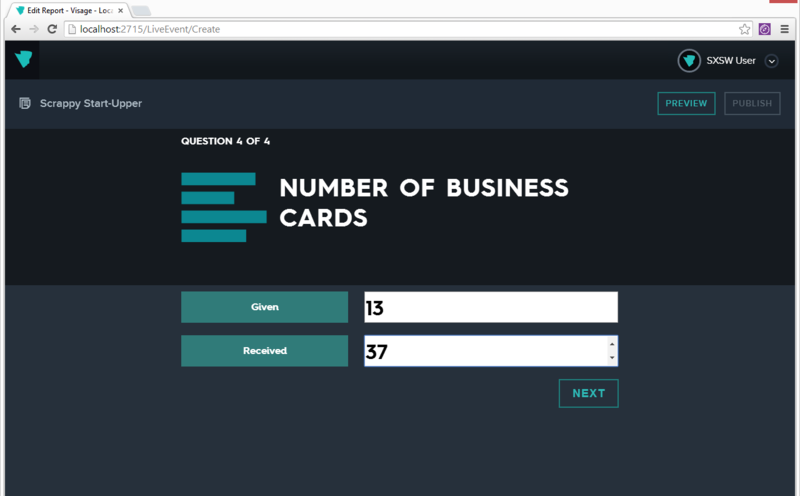 Instead, the reports showed them what Visage is all about: creating easy, beautiful, branded visualizations to make you and your data look good. 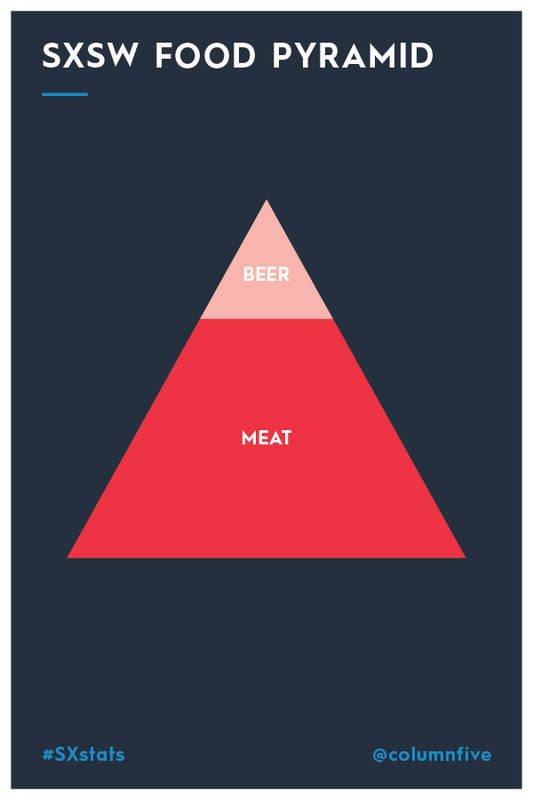 3) Make It Easy. We didn’t just set up computers in a room and expect people to start using them. 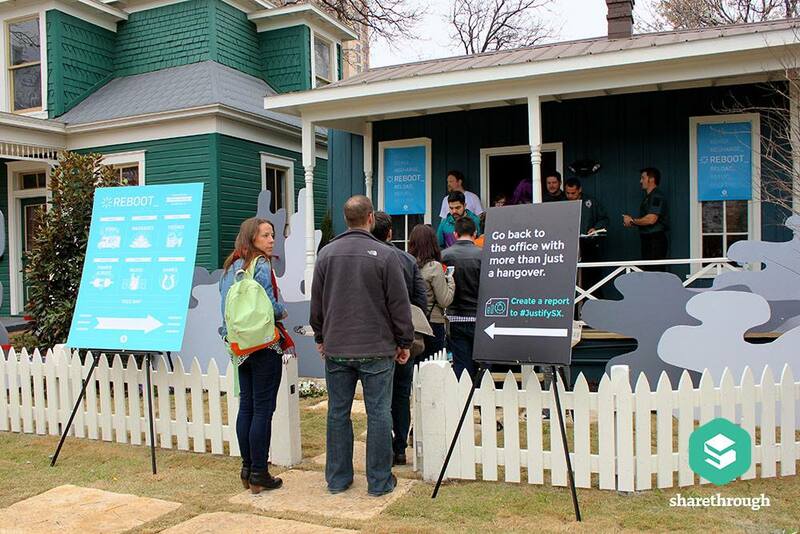 We promoted the experience throughout the space, placing teasers around the party to attract people to the room. Once there, the interactive was a simple, guided experience that required as little user effort as possible but produced a valuable report. It’s always nice when we get a chance to practice what we preach, especially with great partners. Many thanks to Sharethrough for inviting us to share a space. We look forward to next year. 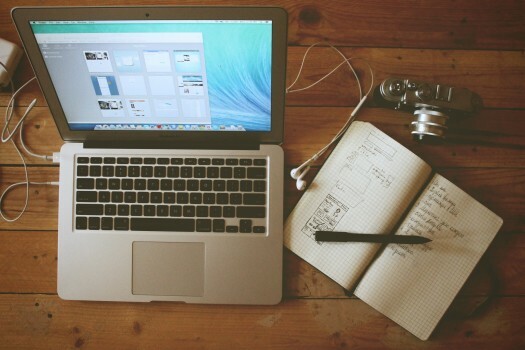 NEED HELP CREATING EFFECTIVE VISUAL CONTENT? LET’S CHAT.